The Qufu region has been occupied by invaders of different ethnic groups at different times, from the Jurchens in the 12th century and the Mongols in the 13th century to the Manchurians in the 17th century and the Japanese from the late 1930s to the mid-1940s. All the occupiers, however, took good care of the temple because they acknowledged the importance of Confucianism despite committing atrocities in places nearby. The non-Han rulers needed to show their appreciation of Confucius and his teachings and master the art of Chinese-style governance in order to rule such a large nation. As such, they protected and renovated the Temple of Confucius as an icon to soothe the subjects and prevent them from rising in rebellion. But that partly contributed to the preservation of the temple and the adjacent Kong Family Mansion and Cemetery of Confucius, making them the best-protected cultural relics in China. Local residents have also been playing an important role in protecting the UNESCO World Cultural Heritage site. To them, praying in the temple is akin to a religious practice - comparable to a Christian attending mass in a church - although Confucius is a philosopher instead of a god. Many local residents have Kong as their family name, the same as Confucius' - his name in Chinese is Kong Qiu - and they take a pride in their kinship with the ancient sage. In fact, Confucius is called the ancient sage by the local people, who passionately recite quotations from The Analects of Confucius, a thin book compiled by Confucius' students that records the concise and thoughtful dialogues between them - and is the bible for Confucians worldwide. Many local people claim to strictly follow Confucianism in their daily lives, which helps them to establish good relations with others and experience inner peace. They believe Confucianism can bring lasting peace to the world if more and more people practice it. China calls on the people to boost their self-confidence with the help of Chinese culture, among which some thoughts of Confucius are lauded as national intangible treasure. This has prompted local governments and tourism agencies to organize some cultural festivals, and spurred the fast increase in researcher-and student-tourists to Qufu. 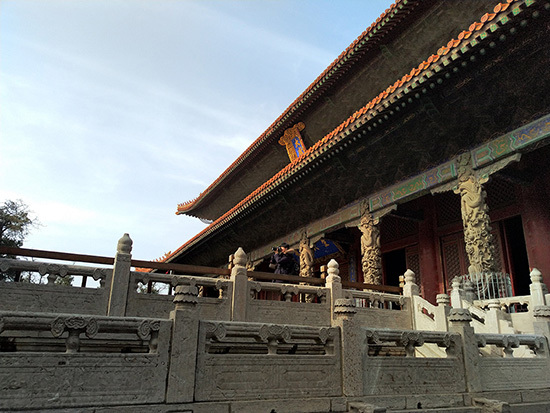 Statistics of the Qufu government show about 6 million people from home and abroad visited Qufu in 2018, among which 1 million were researchers in and students of Confucianism, up 38 percent year-on-year.